With a 25% year-on-year growth to date, it makes sense to resell ink-on-fabric. Those first orders can be daunting though, which is why we've created these helpful tools. 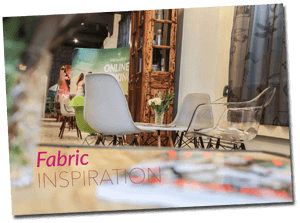 We'll help you understand the products and to help promote the fabric range to your clients. We've also put together a collection of design templates and best practice tips to help you supply your artwork successfully. If you want to go big in fabric then check out our Expo Hire packages. 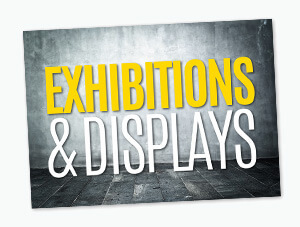 Expo Hire provides you with demo kits to show your customers, you get a bulk discount on the stands and pay for the package over time, interest free. A 24 page guide packed with photos of our Ink on Fabric range in situ – exhibitions, studios and events. Great for giving your customer ideas on how to utilize the range to get attention or transform an area. 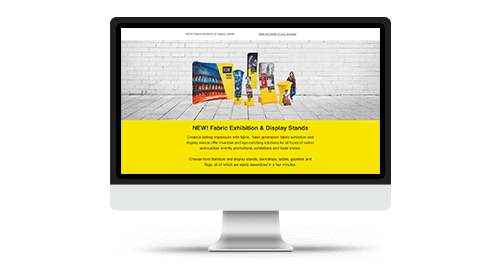 Build your own responsive promotional eshot to send out to your clients. Download the html code, edit with your own details, prices and offers as necessary and send out using your usual eshot software. Create your own promotional leaflet to send out to your clients. Download the artwork file and edit with your own details, prices and offers as necessary. Artwork is set up as portrait A5 with 1.5mm bleed. Once your artwork is ready, order your leaflets here. Encourage your customers to promote themselves with outdoor products or transform outside of their office by sharing this article. "Office workers should be allowed to take “sunshine breaks”, according to experts who have found that 90 per cent do not have enough vitamin D."
Download product images to use on your website, eshots or printed material. Files contain images of complete products, partially built products, product assembly and accessories. 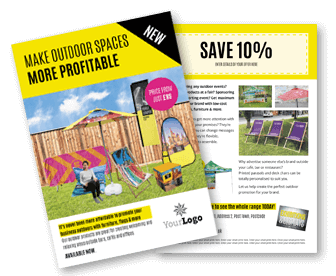 Download the unbranded product brochure and personalise it with your branding, pricing, and details. 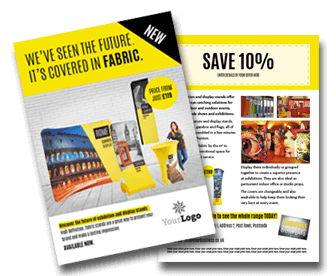 Send to your clients to help them visualise how the fabric products could help promote their business or make their event more memorable. Pre-printed copies of the unbranded brochures (contains no pricing information) are also available to purchase in batches of 25. We've added product assembly videos to the website to help you and your clients understand how the fabric displays fit together. For products that have an assembly video, you will see a ‘Video’ button at the bottom of the image on the product page. 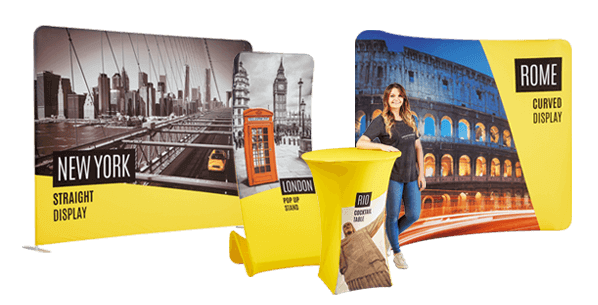 Create your own promotional fabric stand to display in your studio or shop. Download the artwork file and edit with your own details and prices as necessary. 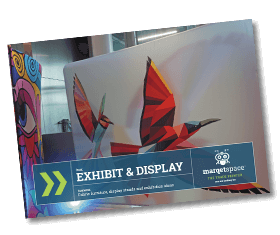 Once your artwork is ready, order your London display stand here. 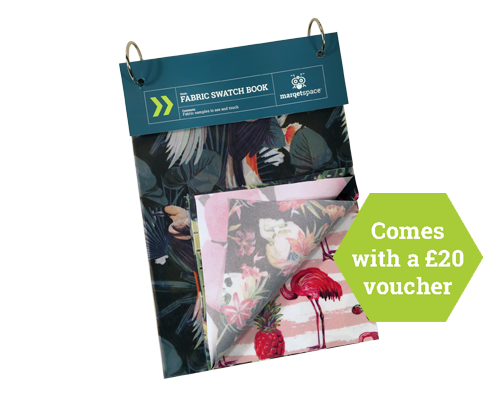 A printed copy of these PDF's accompany every fabric job that we despatch. 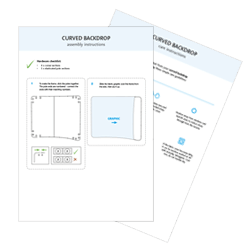 If you need to send a PDF version to your clients, you can download it below. 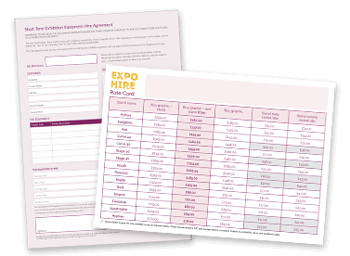 Expo Hire Agreement Form between you and your client. There is a Supplier text box where you should overprint your company address and contact details. There is also some room on the reverse bottom right to print your Company registration details and VAT details where necessary. Expo Hire Rates Card details the daily and weekly RRP rental costs for hiring out all the items in an Expo Hire package. How do we print onto fabric? Dye-sub (Dye-Sublimation) is the process of permanently applying photo standard images to fabric. Dye-Sub transfers the image into the material, not just onto the surface. This is how we print all our fabric products. We print onto the fabric with a 3.2m Dgen G5 Grande Dye-Sublimation Printer, paired with a Transomatic Fixation unit. How do we print on to fabric? What can we print on to? Our trade brochure contains all the information you need about the fabric product range and accessories. View the brochure.